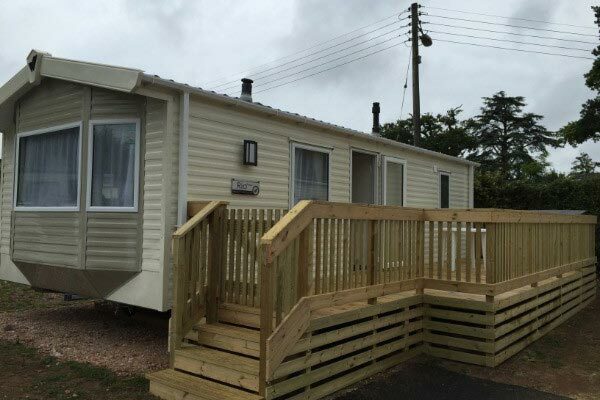 We have a 2 bedroom static caravan with double glazing and central heating for hire on the award winning Oakcliff Hloiday Park in Dawlish Warren, South Devon. The caravan is new and well equipped and comes complete with a veranda with BBQ and dining area. Oakcliff Holiday Park is a quiet site with heated outdoor pool and children’s play area. 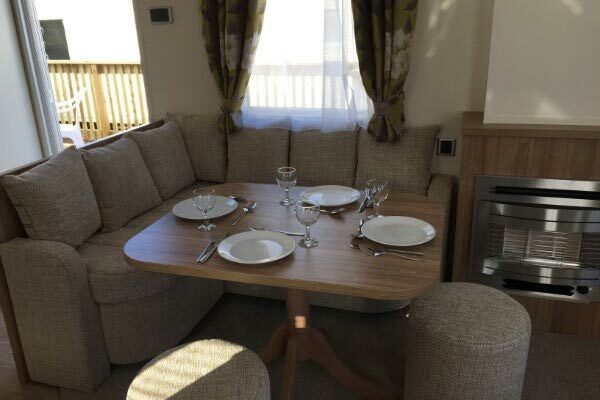 It is just 1/3 mile from a Blue Flag, sandy beach, the seafront and amusements. The local pub is just a 2 minute walk away. 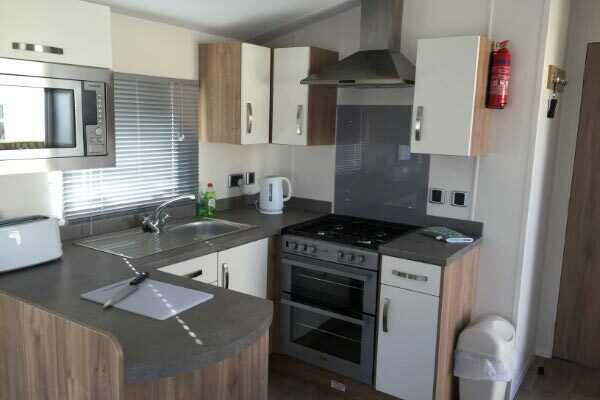 All persons staying in our caravan are allowed to use the facilities at the sister site Ladys Mile which is just a short distance up the road. 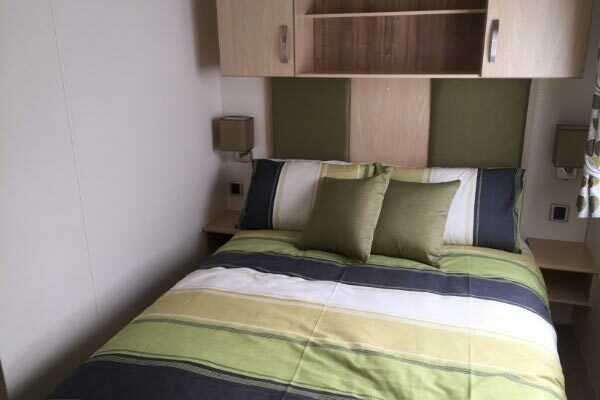 Here you will find a restaurant, swimming pool, gym, amusement room and children’s play area. 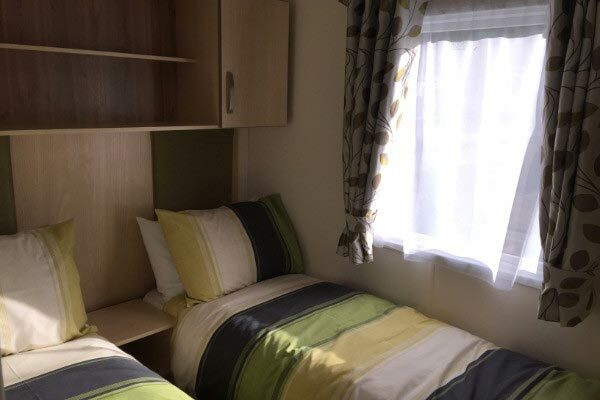 The area provides bus and rail links to nearby attractions and towns. 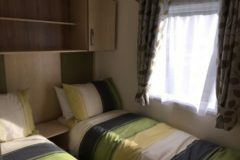 For use of site facilities I supply a yellow wristband pass to all members of family staying as part of the cost of the stay. No hidden extras. 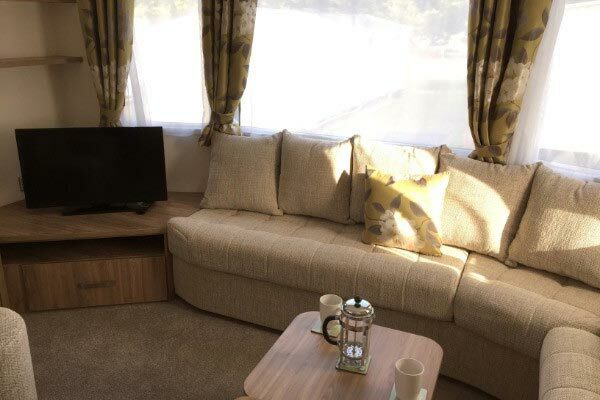 Lovely spacious lounge area with plenty of comfortable seating, gas fire and TV. 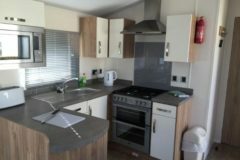 Well equipped kitchen with fridge freezer, oven, hob, microwave, toaster and everything you'll need. Main bedroom has a double bed while 2nd bedroom has twin beds. 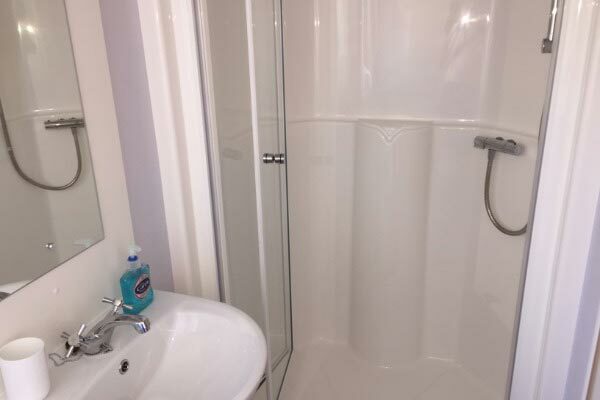 Bathroom has shower, sink and toilet. 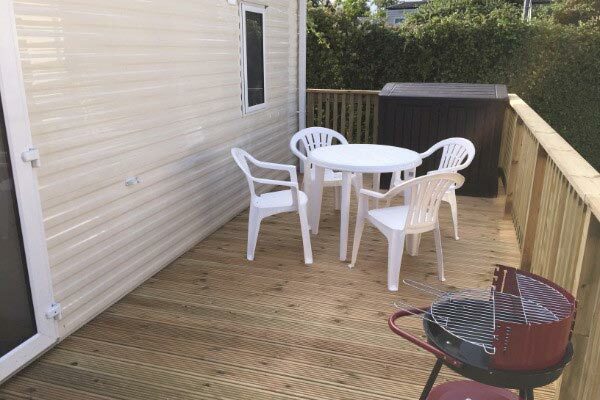 Large veranda with BBQ and table and chairs for outside dining. 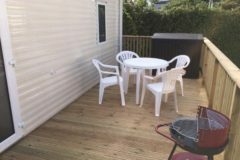 Sun loungers are also provided. Supply of yellow wristband pass to all family members staying is included. in the price.